Lambeth Self Help is a small co-operatively run housing association based in South London. It owns 52 properties all of which are in the London Borough of Lambeth. Lambeth Self Help is an Industrial and Provident Society. As a provider of social housing it is registered with the Homes and Communities Agency and is affiliated to the National Housing Federation. 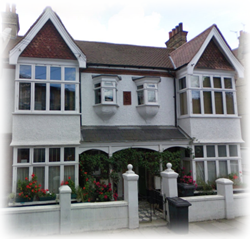 Lambeth Self Help provides both self-contained and shared housing for rent. Lambeth Self Help provides a range of homes for people in housing need and on low incomes. All vacancies are offered to the Lambeth Council. Lambeth Self Help does not accept applications directly from members of the public.